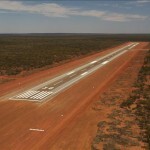 The opportunity to work in a FIFO or DIDO role is an exciting prospect for many. Unfortunately the nature of this type of work also presents a number of psychological issues and risks for employees and their families. In most cases the work is in remote areas and, as a result, requires periods away from home. Frequent absence from home places pressure on relationships, isolation from the broad range of support that most of us have in place presents social connection issues, and frequently ‘missing out’ on events for family and friends takes a toll. Many of these employees also have family responsibilities that further compound the issues. The work itself often involves long shift hours with two or three weeks on/one week off a common pattern. Extended days, long work patterns and rosters, harsh climate conditions and regular travel all contribute to physical and psychological fatigue. Add to this the need for sustained concentration in high-pressure work environments, and it is not difficult to understand the challenges that are present. The financial incentive that this type of work provides can be highly appealing, however the price it may extract is often much higher than anyone anticipates. While the industry has been proactive in minimising employees’ physical risks, the widely acknowledged psychological risks have not yet been adequately addressed. The most obvious concern and risk relates to the fatigue that regularly accompanies this work. Changing shifts, irregular or long work hours, and stressful conditions not only disrupt normal sleep patterns but they can lead to chronic fatigue issues. Fatigue impairs our judgement and reduces our ability to function in daily life. For DIDO workers this significantly increases their risk of being involved in an accident while commuting to and from work. It also negatively impacts the amount of energy the employee is able to invest with family and friends when they are at home. Fatigue is a contributing factor to relationship strain, which is compounded by extended periods apart, and not being able to be involved in day to day events and decision making. While most families enjoy the time the employee is home, there is a constant adjustment and re-adjustment process that needs to occur. This in itself is difficult and creates additional tension, anxiety and emotion. For the FIFO worker, this often translates to sadness and withdrawal before they leave for their next roster, and a feeling of helplessness to assist and contribute while they are away. For their family, it places additional responsibility and pressure on those at home and creates loneliness and fatigue. One of the most significant and concerning issues is the increased prevalence of mental health issues across the industry. The predominantly male population and the level of fatigue, isolation, anxiety and stress involved in FIFO work significantly increase the risk of mental health issues. Over the past two years there has been a marked increased in the instances of suicide, attempted suicide and self harm. The stigma related to mental health issues often inhibits employees seeking help, and the lack of awareness and confidence of managers means the issues are often left unattended. As well as these, there are added risks relating to the use and misuse of alcohol both onsite and during time off work. The degree of alcohol used is concerning and creates risks for employees and their family. Many employees drink in response to the loneliness, stress and anxiety they are experiencing. Drinking at harmful levels contributes to the pattern of stress, anxiety, depression and combined with alcohol often leading to deliberate self-harm and further increasing the suicide risk. Alcohol, coupled with the relationship challenges of missing family celebrations, being away from children and being absent from the day to day decision making can leave employees feeling lonely, out of control and of diminished importance in their home. Over the past year there is a disturbing trend of domestic violence emerging from this combination. 6. Provide employee assistance support (in addition to face-to-face, telephone, video and online access leading industry employers are increasingly bringing this service directly to employees on site). In all of these actions it is particularly valuable to link family members into the support and information available, and include them in communication on the issues and risks. The most important thing you can do is to recognise the risks and start to address them. Assuming that your employees and are not impacted by the key issues of fatigue, stress, alcohol, mental health and relationship strain is a dangerous mindset that will further increase the risk for your employees and your organisation. *Michele is the Chief Executive Officer of Davidson Trahaire Corpsych (DTC), Australia’s leading provider of employee assistance programs, critical incident management, and employee wellbeing services.